Travel in style! 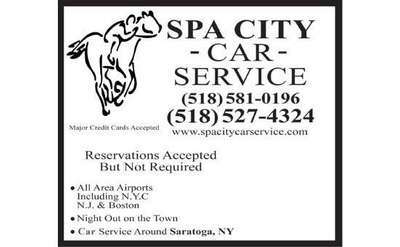 These Saratoga limousine services cater to a variety of transportation needs: weddings, airport services, corporate limo services, proms, sporting events...or just a fabulous day at the Saratoga Race Track, the spa ...or a romantic night out on the town! There are also businesses listed that provide airport shuttles, car rentals or parking services for the Albany International Airport. You won't believe how simple it is to make car service arrangements. From bachelorette parties to airport transfers, you'll travel in style when you select Spa City Car Service. Call today to make your reservations! VALUE VAN TAXI (518-479-9394) is your most INEXPENSIVE option for local or long distance TAXI, AIRPORT or TRAIN shuttle, CHARTER or CAR SERVICE with multiple passenger seating for 12,9,7or5 people. We operate 24/7 and accept ALL major credit cards. All City Taxi Cab offers reliable transportation services in Saratoga and even does pick ups and drop offs at Albany International Airport and Albany-Rensselaer Train Station. 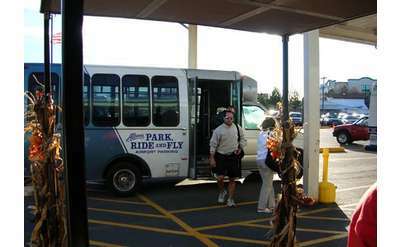 Upstate Transit of Saratoga offers bus tours, charters, services for commuters, and transportation for public and private groups in the Capital Region. CDTA offers a Summer Trolley Route (Route 875) in Saratoga Springs with stops on Broadway, at Saratoga Race Course, and at Saratoga Casino Hotel, among others. Saratoga Taxi's services include local taxi runs, drop offs and pick ups at local airports and train stations, and senior citizen transport. Platinum Limousine of Saratoga, Inc. 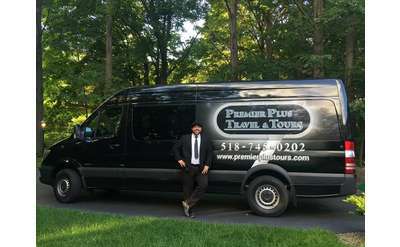 Platinum Limousine and its fleet of vehicles offer a variety of transportation services, from special events and weddings to airport travel and tasting tours.